Intrepid Ideas: Guns for Bread? Courageous ideas for now and the future! Travel the world, experience new things and reflect on old ones. All with a Bold and Dauntless Attitude! Imagine this, you live in a crime filled neighborhood. Each night you make the rounds and lock your doors and windows and sleep with a handgun next to your bed just in case an unexpected visitor calls. It's particularly difficult for you to sleep tonight. You're stressed out because you've just lost your job. Your boss says business is slow and he can't afford to keep you on any longer. You know that your wife's salary and your temporary unemployment pay will not be enough to cover your rent and other bills. You're unskilled and there are thousands, like you, looking for work. You lie in bed contemplating the prospects of finding a job in the next few weeks and conclude they are pretty grim. Your chest tightens. You lay still fighting back the tears when suddenly you hear a noise in your hallway. You stealthily reach for your weapon and point it towards your bedroom door. The door creaks open and there in the soft light you can make out the image of your 5 year old daughter. "Daddy I'm hungry." Your brief moment of relief after learning that it's not an unwelcome burglar is swept away when you remember that there's no food in the house. Instantly you're overcome with shame and sadness. You point the gun to your temple and for a second, you consider the short road out of this nightmare. You decide that you lack the courage for that route and instead look at your baseball hat and hooded jacket on a chair next to the bed. You consider donning both and walking down to the local 24 hour convenience store with gun in hand and helping yourself to some milk and bread. The image of you being handcuffed and taken off to jail or lying dead on a cold floor while the owner stands over you with a shotgun halts this fantasy. Instead, you comfort your child as best as you can and manage to get her to fall asleep again. You lay awake all night and stare at the ceiling trying your best not to wake your wife. The occasional tear rolls down the side of your face and into your ear. Morning comes far too quickly but you saunter out of bed with a plan. It's a quick fix and short term option but the only solution you can come up with. You get dressed, tuck your pistol into your waist band and walk down to the local Los Angeles County Sheriffs station where you find the "Gifts for Guns" program. Humbly, you turn in your weapon for a $100.00 gift card to the local grocery store. You think to yourself - This just might buy enough food to last us through the Christmas holiday! This is a sobering fictional story (created by Intrepid) that's probably not too far from the truth for some people. This year, The Los Angeles County Sheriff's Department allowed residents to anonymously relinquish firearms in return for $100 gift cards for Ralph's supermarkets, Target department stores or Best Buy electronics stores. Turning in assault rifles yields double that amount. This annual program started in 2005 after a spike in killings in the city of Los Angeles. In years past, Target and Best Buy cards were the preferred choice, with residents wanting presents for the holidays. According to Sgt. Byron Woods of the L.A. Sheriff's department - "This year, most asked for the supermarket cards. People just don't have the money to buy the food these days." 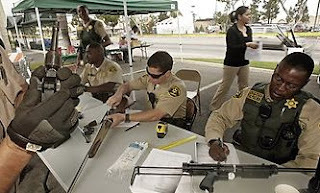 Deputies expected to collect about 1,000 weapons this year. Authorities said 590 guns and two hand grenades were handed in during the last weekend in November, more than the total collected in any year and eclipsing last year's 387 guns. Woods said most of the residents who turned in weapons were "family people." "One guy said he had just got laid off from his job," Woods said. "He turned in five guns and said it would really help him to put food on the family's table." Gun owners dropped their weapons off at a local grocery store parking lot. Deputies checked the weapons to see if they had been used in crimes, then destroyed them. Contact your local Sheriff's/Police department if you wish to turn in a weapon for a gift. I really do think this is an awesome idea. It's at least something that they can do. I really do wonder if we will see an increase in suicides in the following months. I'm not sure how bad it's going to get for some families. Unemployment will temporarily get them through, but when it runs out? *sigh*. Don't even want to think about it. 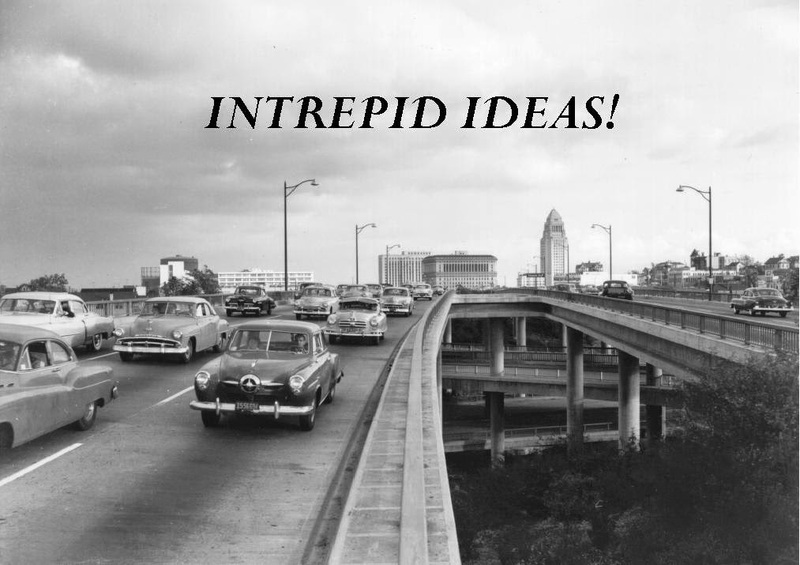 You wrote a moving scenario here, Intrepid! This program seems to be getting some of the weapons off the street. I think it's great when someone turns in an automatic assault weapon. Or hand grenades. (can you believe that?) It's sad when people are turning in weapons just to eat. But many people are turning in weapons just to get them out of the house and off the streets. Certainly a step in the right direction but not the ultimate solution. Thanks again for the feedback. 'Whew' on the hand grenades. Can you imagine getting in a quarrel with a neighbor whose house is full of grenades?? Eegads. No, not the ultimate solution, but we need all the creative ideas we can get. Oh, I was gripped there Mr I. That was a very effective and moving way of putting across how some families are going to really struggle through this depression. The gun amnesty/reward scheme is a marvellous ideas though. You don't have a social security system as comprehensive as ours in the UK do you? I'm not entirely sure how it works in the USA...but people get something surely? There's a lot of tough times ahead for many people. Oh dear. Nope... I'd hate to get into a quarrel with anyone and find out they had a few hand grenades sitting around. Truly A "Wrong place Wrong Time" scenario. Wow. That was a excellent post. There are so many that will suffer this season, and it breaks my heart to know these are real thoughts that run through their heads. Thanks Summer.. I can feel your compassion. These indeed are tough economic times. This begs the question can you trade grenades for pineapples straight across? of ignorance and self delusion. end of comment ...thanks for bringing attention to this important program. The Season! The Absolute Madness Of It! Piggy Back Ride! The Space Shuttle gets a lift. Music Monday- Nothing Can Come Between Us! The Golden Boy - The end of an era! Measure Your Life in Love! It's Music Monday! Hey there! If you know me then you know that it's not about me but "All about you." At a minimum - It's about us! See my mission statement!